Published in Cyber Security & Compliance on 11/02/2017 by Harry Lew, Chief Content Writer. The recent Equifax data breach has millions of Americans scratching their heads, wondering how to best lock down their finances against foreign hackers armed with their personal information. 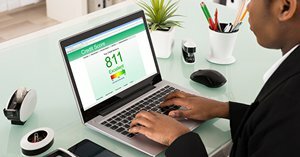 According to Dave Sather of Sather Financial, consumers need to move beyond thinking that one year of free credit monitoring will protect them. Instead, it’s crucial to mount a more proactive self-defense. Writing in the Advisor Armor web site, he suggests sharing the following tips with your clients. Avoid using debit cards to make online purchases. Doing so means you no longer have a grace period in which to review charges before payments come due. And if your card is hacked, you might have to deal with a cascade of overdraft fees, which can be difficult to resolve. If you’ve been hacked, ask the three credit bureaus to put an alert in your file. Also submit an identify theft report to each bureau and perform other recovery steps. Request a free credit report every year. This will let you see what accounts are open under your name and to correct incorrect information. Consider instituting a credit freeze. Sather says this provides the strongest protection, since it prohibits anyone from opening a new account using your name or Social Security number. However, if you set up a freeze and then need to apply for new credit, you’ll need to unfreeze the hold at least a week before you apply. Don’t think a credit freeze provides total protection. That’s because it won’t stop a criminal from using an existing credit card vs. opening a fraudulent one in your name. Report any identity theft to your local police and the Federal Trade Commission. This will help the authorities monitor criminal activities and potentially apprehend the perpetrators. If you’ve been hacked, immediately change your account passwords. Also, avoid accessing financial accounts from a public Wi-Fi network, where your password can be pilfered. If you’re a victim of Social Security fraud, contact the Social Security fraud hotline. Depending on the incident, you may be able to apply for a new Social Security number. Sather’s bottom-line point: when it comes to identity theft, your clients (and you) need to mount an aggressive, multi-front defense. The credit bureaus and the government will help to some degree, but the main burden, sadly, will fall on all of us.